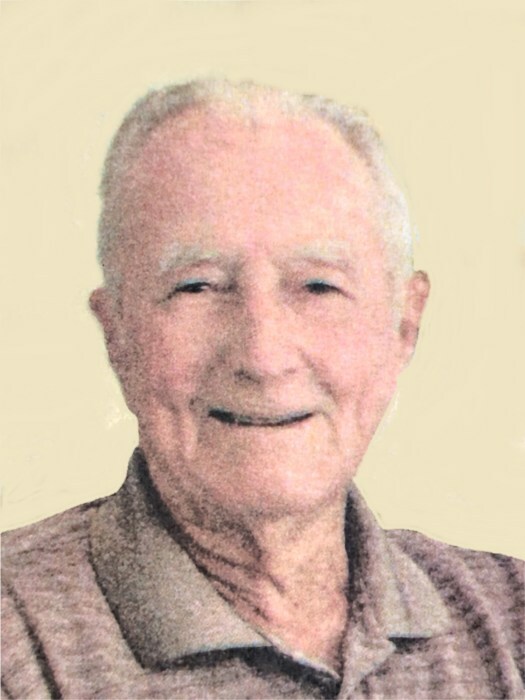 Ralph Graham Jr. 98, of Quincy, passed away at 9:27 am Saturday (September 15, 2018) in Good Samaritan Home. Born October 22, 1919, in Monmouth, Illinois, Ralph was the son of Ralph and Ella Griffith Graham Sr. He married Constance "Connie" Chatten on September 5, 1942, in Quincy, She preceded him in death on November 3, 2003. Ralph was a member of Ellington Memorial Presbyterian Church. He was a 1937 graduate of Monmouth High School and received his Bachelor of Science degree in Chemistry from Monmouth College. Ralph went to work for the DuPont Company in Joliet, Illinois. He left DuPont to join the Navy and served in the Pacific Theatre during WWII. After his discharge in 1946, he began his career of 40 years with the Frank Chatten Apple Orchards, which later became Graham Orchards. Ralph was a highly respected businessman in the community and gave of his time serving on the Good Samaritan Home Board, the Tri-State Fire Board and the Adams Farm Service Board. He and his wife Connie loved to cruise, travel and winter in Sun City, Arizona. Ralph also enjoyed fishing, hunting and playing golf and bridge with his friends. Survivors include a daughter, Sharon Graham of Pittsboro, NC; a daughter-in-law, Celeste Graham of Salmon, ID; three grandchildren, Joshua Graham (Kathy), Teresa Graham-Parrish (Larry) and Benjamin Graham (Angelique) all of ID; three great-grandchildren, Evan, Shane and Aurora all of ID; a sister-in-law, Joyce McKinley (Don) of Quincy; and several loving nieces and nephews. Ralph was preceded in death by his parents; his wife, Connie; one son, Ralph Graham III; and one grandson, Jacob Graham. Memorial services will be held Friday afternoon at 1:00 in the Ellington Memorial Presbyterian Church with Pastor Ron Cox officiating. Burial will be in Ellington Home Cemetery with Military Honors by the Illinois National Guard Funeral Honors Detail. Visitation will be held Friday afternoon from 12:00 until the time of services at the church. Memorials may be made to the Ellington Memorial Church.